Often referred to as the "superstar" of the fingerlings, this Russian Banana is a favorite among chefs and matures in 100-130 days. They have excellent flavor and versatility: great when baked, boiled, or steamed. 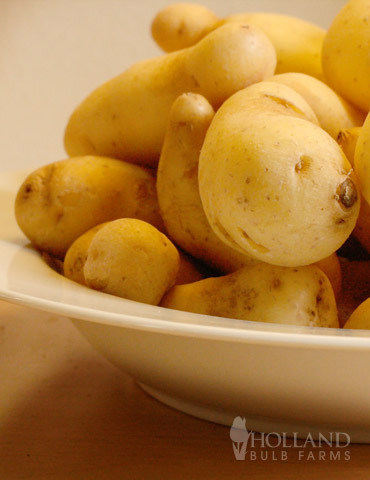 Tubers are yellow, banana-shaped and of the waxy-type.